Mobile applications have come as a savior for businesses to captivate their customers. Mobile applications help to extend your business, customer service and advertising endeavors to the most popular mobile platforms and empower to connect your customers and employees to corporate systems. We understand this requirement and hence, we have a dedicated team of professionals for Mobile Application development for travel business. We offer the best Mobile application solutions for your travel agency which will help your end users to do hassle free bookings from their smart phones. 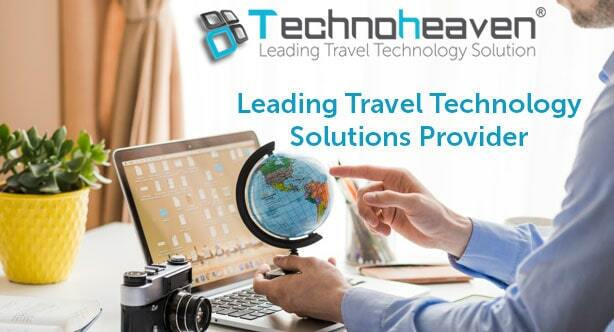 We develop top rated mobile apps compatible with smartphones and tablets that can actually bring high efficiency for your travel business and generate brand awareness of your services & products. The expertise that we possess embraces a wide range of custom programming skills involving the latest and most effective mobile development for android as well as iOS. This to a great extent defines the quality and reliability of the custom applications that we develop. Our quality assurance team maintains highest quality standards at every stage of the development process, from conceptual design to product release. Android runs on billions of handheld gadgets around the world and has opened up new vistas for business. We understand that Android is the fastest growing mobile platform due to which the demand for Android app development is consistently increasing. Our Android application development team has been creating and delivering cost-effective and robust android apps to clients for years. Application development could increase your customer base it is the new business promotion strategy. IPhone has the high demand in the developed nations. So we build excellent functionality and package in a polished, seamless bug-free app that offers intuitive operation and stability. Our development team has an intimate understanding of the iOS development toolkit allowing us to build exceptional apps for the iPhone, iPad, and Apple watch using a wide variety of available frameworks. We utilize a systematic approach to design apps with complete integration of suitable functions in the shortest amount of time. We follow standard application development procedures stringently by working meticulously to deliver robust mobile applications which helps to ensure smooth and bug-free apps. We work on the latest platforms so that you have a fully-functional mobile application that leverages the latest OS to the maximum. Our process begins from analysis of your requirement and end with last release on Google Play store/ App store.